It seems that lately, autonomous driving cars are all the rage. 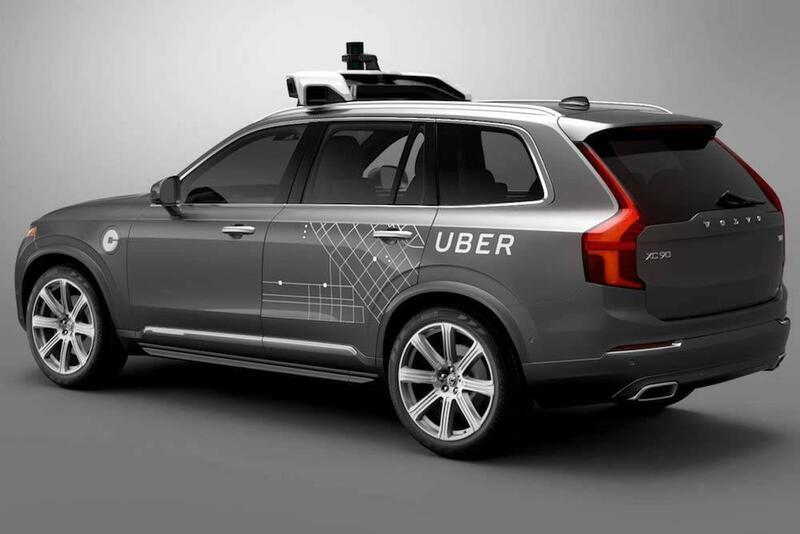 Between Uber deploying self-driving Volvo XC90s on roadways in cities throughout the United States, and nearly every car brand scrambling to catch up to the latest in the automotive evolution, it seems that the arrival of the self-driving car is imminent. If this pace to the autonomous driving car finish line continues, car dealers everywhere, including your favorite Mazda dealership, will soon have self-driving vehicles featured on their showroom floors. Depending on who you ask, and how opinionated the person you ask happens to be, the future reality of self-driving cars can vary greatly. While one person may strongly believe that the self-driving car will be mass marketed within the year, another person can easily think the opposite – that self-driving cars will never be available for purchase, let alone on public roadways. Obviously, because of Uber’s partnership with Volvo, we already know for certain that autonomous driving cars are on roadways in the United States. Even with this reality, there are still plenty of people who aren’t ready to accept the future of driving. The Boston Consulting Group realized this and conducted a study that researched the future of autonomous driving. According to the research firm, an estimated 25-percent of miles driven in the United States by the year 2030, will be completed by electric self-driving cars. That number may not be staggering by definition, but all things considered, it is a statistic that is much harder to ignore than the exaggerated opinions of friends and colleagues. The same study went on to find that commuter travel times will be cut by an estimated 60-percent with the uptick in shared autonomous electric cars on the road. While it is obvious that the self-driving car will have a major impact on the daily lives of drivers, not to mention on the world economy, there are still plenty of regulatory and technical hurdles that will need to be jumped before we get to this point. Let’s face it. No matter how convenient or cost-effective self-driving cars may become, the fact remains that some people just like being behind the wheel. They feel a sense of control and exhilaration each time their foot hits the gas pedal in acceleration. They love how it feels to steer around sharp corners, and maneuver their way through tight city streets. Most car manufacturers seem determined to create entirely autonomous driving vehicles, and as such, are ignoring those drivers who actually enjoy driving. This may be true of certain car brands, but it isn’t true of Mazda. In a recent interview with Bloomberg, the North American CEO of Mazda, Masahiro Moro, made it clear where the Japanese automaker stands on the issue of automotive autonomy. It isn’t surprising that the brand whose mantra is, “Driving Matters,” is seemingly against the full implementation of self-driving vehicles. Moro discussed Mazda’s approach with Bloomberg, specifically when it comes to the experience of the driver from behind the wheel. “We believe driving pleasure should never die. And we’re selling our products to a core customer who loves driving. We’ll always take a human-centric approach. The driver will have control and we’ll try to improve peace of mind. If anything happens to the driver, the system will override immediately to bring the car to a safe place,” Moro explained when asked how Mazda felt about autonomy. Ready or not, autonomous driving cars are coming. It’s just a matter of time before we see driverless cars as an everyday common occurrence. Once regulations and laws are sorted out, auto brands around the world will be debuting their robot-minded vehicles on showroom floors here in the United States, and abroad. The encouragement, as well as the pushback, of self-driving cars can easily be compared to the introduction of the smartphone. As soon as manufacturers were able to deliver smartphone devices that were cost effective, consumers were able to more readily afford them. Those who preferred a simpler cell phone were left in the dust, paying more money for less of a phone. While you can still find the rare flip phone at your local Best Buy store, the market has indeed shifted. Those who were initially opposed to the introduction of the smartphone, are now proponents. When someone pulls out a cell phone without an interactive touch screen, those around feel a sense of embarrassment and sorrow for the person. In the same way, it seems that the self-driving car will change the way we view vehicles both on and off the road. At first, there will be a lot of push back and agony over the shift to autonomous driving vehicles. But, over time, much like the smartphone – the self-driving car will likely be accepted as a normal part of everyday life. Some drivers are angry about this changing trend, while some are still doubting it will ever actually happen. Either way, it’s nice to know those car manufacturers like Mazda are creating an alternative for those drivers who aren’t keen on handing over the wheel (or lack thereof) to a computer.